Should I Meditate to Lose Weight? Yes, meditation can help you learn to relax and engage an optimistic view toward fitness and weight loss. I can help you with that right now. Go to my free SoundCloud channel on your smartphone or other internet connected device. Help yourself to over 75 meditation recordings of actual sessions guiding weight loss clients into a deeply relaxed state of mind and body. Try it and if it helps you embrace achieving your goals, subscribe to receive notification of upcoming new ones. Tell me why I Can’t Lose Weight? Sleep? Hormones? there are a few general lifestyle factors that you should check for yourself. Sleep- If you are not sleeping well, then you may be a candidate for a sleep study. Being overweight is a high risk factor for the development of obstructive sleep apnea. Obesity can lead to disruptive breathing problems during sleep. As well, a breathing disorder disrupting your sleep that isn’t treated is known to cause weight gain. If you aren’t already using a Cpap sleep aid device, have a sleep study done. Once sleep is restored to optimal levels, you will find it easier to control your weight and stress-related health factors. Meanwhile, try falling asleep with a Dodow. The Dodow is a simple battery-operated device that shines a dynamic blue light beam onto the ceiling of your dark bedroom. 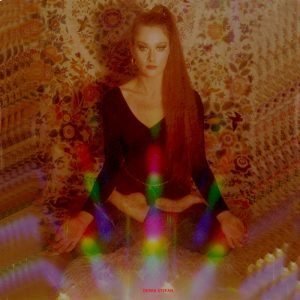 Breath in and out to the tempo of the light dimmer. This is a simple breathing meditation known to quiet the mind and enable relaxation of both mind and body. Get yours here- Dodow Sleep Aid on Amazon. Hormones- Here is the link for your complete information: INSIDE TRACKER-Blood Tests to Live By! Yes, I might benefit if you should purchase from either of these links. However, I will not recommend anything that I do not wholeheartedly believe in for myself and my clients. 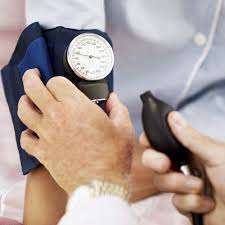 Blood work for fitness, weight loss and wellness optimization is important! INSIDE TRACKER-Blood Tests to Live By! Fitness day camp options are available to those in the local area. The same process applies. Once you decide on your level of commitment, take action! Fitness day camp dovetails with live-in fitness camp over the first half of the day. Locals usually need no overnight guest privileges. There are locals who opt for the live in program simply because they need the full-time commitment in a controlled environment. Not everyone can make this level of commitment due to many factors. However, if you can get away from all other responsibilities and influences to be fully immersed, then opt for the live-in program. Meanwhile, you do have fitness day camp options. Debra Stefan Fitness has been in place since 2008 operating under a non-commercial license. That means that your privacy is protected while in my program. You will never need to worry about people who aren’t in the program dropping in during your stay. Only those who are committed participants are allowed on the premises. A security guard grants access to those who are authorized to attend. In fact, the actual location address will only be made known to you when you have secured your commitment. Here is the webpage featuring the fitness day camp. There is some flexibility for you to make it work for your needs. Feel free to schedule a phone talk with Debra, (that’s me), to discuss your needs and goals. What is the cost of weight loss camp? Keep in mind that information on this site may refer to services in general, as well as, drop-in or day camp. This posting refers to the Cost of Weight Loss Camp for live-in or sleepover clients. included in the residential guest experience at no additional cost. NOTE: Not all those reading this are candidates for the live-in residential retreat program. To determine your “exercise readiness” and capacity to be an “action taker” please take complete the online questionnaire here. When you are truly ready to make a commitment, compare the cost of weight loss camp services available to you. If you value being in a private residential weight loss camp over a large scale public retreat, then feel free to call. For live-in accommodations, you can click on the link below for a comprehensive price chart. Here is a complete service and price list for you to compare. 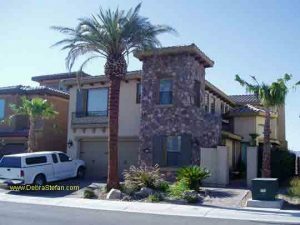 My Las Vegas live-in weight loss camp compares with four other regional options. Included are west coast options: Live in fitness in Los Angeles, California – also known as “camptechnique”, “live in fitness camp” and “live in fitness enterprise”, plus “Utahweightlossretreat” also known as “RealLifeFitnessandHealth”. In searching, you may find similar monikers for Las Vegas Live In Fitness: “live in weightloss” and “live in bootcamp.” Hopefully, this will spare you any confusion. My residential weight loss camp operates solely and is not affiliated with any other entities. All training requires a prepaid commitment prior to participation. For live-in services, a deposit of 50% is due at time of scheduling using any credit, debit card, or bank direct wire transfer. The remaining balance is due 5 business days prior to arrival. However, all local services must be prepaid in full prior to participation. Can I take a tax deduction for the cost of weight loss camp? If a doctor has diagnosed obesity, then you may qualify for a tax deduction for yourself, your spouse, or your dependent. Will health insurance participate in the cost of weight loss camp? Live-in Fitness Camp A Nevada Weight Loss Retreat or California Fat Camp? Live-in Fitness Camp original name for Nevada weight loss retreat LIVE-IN-FITNESS, domain registration 4/13/2008 causes confusion with LIF Enterprise Camp in California. 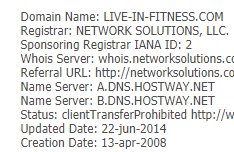 This prompted a name change for live-in-fitness.com. 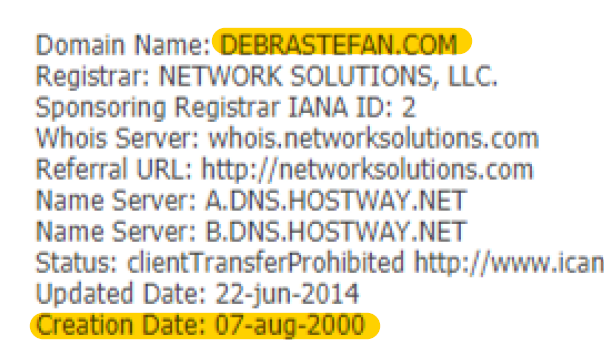 The website domain is also relocated now to www.debrastefan.com. My Nevada weight loss retreat and Live-in Fitness camp were often mistaken for Liveinfitness LIF Enterprise in California (registered 11.02.08), so I finally gave up the name on 8/2/2013. However, my Debra Stefan Fitness site and YouTube channels still show some old posts and videos with my former Live-in Fitness brand. 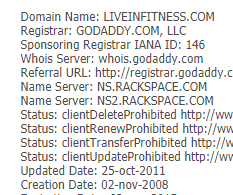 Then I noticed that LIF Enterprise registered the same domain name as mine, live-in fitness minus the hyphens. 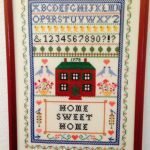 So, I relocated my Nevada weight loss retreat web content to Debrastefan.com (my namesake domain registered on August 7th, 2000). Previously, I had been solicited by a domain broker trying to sell me the duplicate domain name. The domain broker threatened to sell it to a competitor if I didn’t want to buy it from him. I didn’t take the bait. Since I didn’t take it, LIF Enterprise found it available and registered it. Hence, further confusion with the two totally unaffiliated businesses. Early on, Diets-in-Review published the profile for my Live-in Fitness Nevada weight loss camp under LIVE-IN-FITNESS on 8/17/2010. A few clients have found it over the years and placed reviews in my favor. Now my profile has an unfavorable review confusing me with LIF Enterprises due to the lack of updates on Diets in Review. After writing numerous requests to the Diets In Review webmaster to update the Live-in Fitness name on my profile to my name brand Debra Stefan Fitness Retreat, I have received no update. I am concerned about being mistaken for the California camp because the two were never affiliated. Despite similarities in keywords, my Nevada fitness retreat is a private, non-commercial residence where I live and operate my live-in weight loss camp. To provide clarity, regarding Live-in Fitness, now known as a Nevada weight loss retreat, I am posting this update. Let me point out the differences that make my small non-commercial business unique from the other big commercial weight loss camps. Apparently, the person reviewing LIF Enterprise was so disgruntled with her live-in fitness experience that she went after the Nevada weight loss retreat profile. Clearly, the two are dissimilar and located in different states. At the Nevada weight loss retreat, (Debra Stefan Fitness) there are no “packages.” Everyone gets personal training without an upgrade cost. It remains manageably small and individually focused. I accommodate only three to four guests with whom I live and work. There is no training staff for you to get lost in the shuffle or your needs miscommunicated. You live, eat and work out with your live-in fitness trainer. Guests participate in the food selection and preparation according to personal preference. Live-in fitness and wellness lifestyle habits then transfer to home habits. There are usually no executive chefs at your home, so you learn to implement new choices that get you to your weight loss goals. Live-in fitness client activities do not take place in a gym. On occasional client request, I facilitate an optional field trip to the gym. Once the client has learned how to self-train and has a training plan, they sometimes want to try a commercial gym. My private live-in fitness room offers no shiny chrome machines; the human body is the machine. 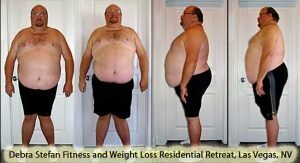 I hope that I have cleared up any confusion so that readers understand the differences in my Nevada weight loss retreat and other weight loss camps. Thank you for taking the time to read my history. Feel free to visit my site by googling my name. Please understand before you read the following review that it is meant for LIF Enterprise Camp in California. It has nothing to do with the Nevada Weight Loss Retreat formerly known as Live-in Fitness. “I was at LIF from 4/30 – 5/28, and it was a waste of money. I had a horrible experience. This place is misrepresenting what they can do; they are false advertising. Any reviews before 4/21/17 are at their old location. The current location was opened the last week in April 2017. I purchased a Gold package like many other, just to be told the services was not offered at the Cali. location. I asked for a refund for only the package ($1,500), not the week, and was denied. This is only a brief overview of the service. Don’t pick this camp, try someone else. I only stayed because they refuse to refund any weeks I purchased. In total, was taken advantage of and loss out of $10K+. Cold food, crammed in a conference room to eat breakfast, lunch, and dinner. Owners cooking food in the hallway of the conference, with no gloves, plates sitting on the counters for anyone to breath, spit, or anything to the food. Note, the conference room is next to the main lobby where the apartment complex conducts their business. The food was the same very often; however, we never could get a menu list of what was in the food even though it was requested multiple times. The Room accommodations were chaotic and not scheduled as purchased. They also promised to clean the rooms weekly which was more like every 10 or 12 days and the room was half cleaned, when it was cleaned. If you have read this far, let me remind you that this was written about the California entity with which Debra Stefan Fitness Retreat is not, and has never been affiliated. Unfortunately, Diets In Review does not make corrections to wrongly assigned reviews on their review site. I hope that I have clearly used this review as an opportunity to verify the unique difference in my services. Behavioral Consultation with Dr. Zannah Hackett starts when you take the online test offered at the end of the FAQs. Upon arrival at the fitness retreat, you receive a 90-minute consultation in which your test results are interpreted. Each week thereafter, you talk with Dr. Hackett, or “Dr. Zannah” as we refer to our Human Behavioral Specialist. You can discuss any matters or issues of personal concern with her. Confidentiality is supported. Oftentimes, clients opt to continue weekly talks with Dr. Zannah to help them with personal issues. Many clients have relationship concerns or previous baggage hindering weight loss. Debra Stefan Fitness includes the services of Dr. Zannah without additional charge to the live-in clients during their program at the fitness residence. Read and understand the details of phone coaching services provided. Schedule an intro call and make your prepaid commitment to phone coaching. Commit to regular weekly phone coaching meetings via phone, SKYPE or in-person. Agree to share your weekly weigh-in results in real time. Establish and agree to a meaningful and doable calendar date to attain the satisfactory goal weight. Bike Fitness Camp | Weight Loss Camp | What is the difference? Bike fitness activities for the bike retreat and weight loss camp both take place at the same time here at Debra’s. Daily bike rides offer both fitness and bike skills progression. Orientation includes biking for all fitness levels. Whether you ride an adult tricycle, a single-speed beach cruiser or a 26″ mountain bike, daily rides will benefit your overall success at weight loss camp. Of course, you will also have weight training, body weight exercises, outdoor boot camp activities and yoga. For the purpose of highlighting one of the unique services offered at Debra Stefan Fitness, the bike retreat has some of its own dedicated pages and videos. Even if you don’t consider yourself a cyclist, many clients claim that they discovered a new love in biking when given the proper orientation. Bicycle training is progressed just as fitness training is progressed. Skill and conditioning are assessed to minimize risk and emphasize safety. Bike fitness rides are a year-round activity with over 300 days of sunshine in Southern Nevada. A system of paved, dedicated bike trails without cross-traffic is available right in the backyard of the residence. From bike safety to bike and helmet selection, seat adjustments, gear sequencing and brake coordination, you will be well-versed. Too often, people buy expensive bicycles and receive little or no training for safe, effective cycling. Joining a bike group doesn’t guarantee that you will learn what you need to know in time to avoid risks. Bike camp enables you to familiarize yourself with safe and effective fitness riding. It will not cover competitive cycling technique. If you are getting in shape for a bike race, then ride cruisers and 26″ mountain bikes like mine and your racing bike will be easier. Make yourself more efficient at biking instead of expecting the bike to do it. Fitness biking can be done individually, with family or a group of other cyclists. Consider it part of your new recreational fitness lifestyle. Is there a risk in doing excessive exercise? The experience at a fitness retreat is a unique exception to the rule of caution telling people not to do excessive exercise. Horror stories of fatal rhabdomyolysis fuel this fear. In the unique environment of a fitness retreat, you overcome normal limitations that you would have at home. There are several key factors enabling a person to safely and effectively exceed their normal limitations. This can only be accomplished when staying at a fitness retreat. When you are on a fitness retreat, things change. You’re not at work and you don’t have any of the responsibilities of everyday life. Your full focus is on YOU, your body and mind. When you need to take a nap during your recovery period, there will be nothing else more important for you to do. Frequent rest is not usually possible at home. On a retreat, there will be nothing more important for you to do other than train, eat and recover. You will enjoy much-needed downtime. Sleep, or read and rest while giving your body the proper recovery needed to resume. The right intensity and duration of exercise done in a progressive manner is another key factor. That way, your body has a chance to rebuild during rest and recovery. Sure, you are doing far more than you were at home. However, the progression is gradual and designed so that recovery balances your efforts. In other words, you rebuild your body as you go. You should never feel as though you have hit a wall of complete exhaustion. Each activity session leaves you feeling a sense of accomplishment rather than defeat or failure. Food is timed to refuel the body. The frequency of nutrition with rest periods is the focus of your day at the fitness retreat. Time simply does not permit the frequency of multiple exercise and recovery sessions during daily home life. You are required to attend to many energy sapping details and other responsibilities. Daily life at a fitness retreat allows you to depart from all of that. Of course, you can communicate with loved ones during break times. You can even remotely attend to your business and check on the delegated details of your home. The important thing is that you aren’t surrounded by the draining of energy and divided focus at home. There is no place else you need to be when you are on a fitness retreat. There is no one else for you to concern yourself with. You are without the stresses normally experienced on a daily basis. All of these factors weigh on your ability to adequately rest and recover. Without sapping your physical and mental reserves, you can raise the bar of physical limitations. The variety of different types of physical work increases your ability to do more exercise. Redundancy is not a problem here. A well-monitored progression can enable you to feel accomplished yet challenged. Avoiding overtraining is easy when it is done this way. You wouldn’t be able to do this at home. When you are at home, your one trip to the gym or trainer must count for the entire day. Too often people overdo it during one grueling session. That wipes you out and takes you down. There you have it. These are the key reasons why you can achieve far greater results in a shorter timeframe at a fitness retreat. Consider the fact that you have made a commitment to leave home and invest in yourself. That factor alone can hold you to your highest standard. Building the belief in one’s own ability to fulfill self-promises transfers to your new lifestyle back at home. You can quit smoking while adopting a new healthy lifestyle of fitness and nutrition. Should you quit by way of cutting back, there are designated outdoor areas for smoking. Of course, the fitness residence is a smoke-free environment. However, the great outdoors has a built-in filter to whisk away the smoke. Pretty soon, your lungs will rid themselves of stored nicotine and your craving will lessen. Nightly yoga breathing and guided visualization will aid your smoking cessation. How Does Biggest Loser Ranch Compare to a Private Retreat? Can you read between the lines to see the Biggest Loser Ranch compared with a private residential retreat? What do you pay for that is transferable to home life after you leave? Without the executive chef, will you know what to do? Learn more here about comparing the Biggest Loser Ranch to a Private Fitness Retreat. Can I Get Health Insurance Coverage for Weight Loss? What they are saying is that they DO NOT consider it medically appropriate to follow their qualifying criteria. This is because the policy criteria calls for medications with high addiction likelihood and the weight loss is generally temporary. They can’t recommend this approach due to risk of addiction for a temporary weight loss. Okay, so there you have it. It is simply more beneficial to lose weight the sensible way by adopting a healthy lifestyle. Crash diets, risky medications and dangerous surgery is not the answer. Empower yourself by making a commitment and changing your lifestyle for the better. Can I take a tax deduction for weight loss camp? http://irs.gov./taxtopics/tc502.html where you can see exactly what the IRS requires. Whether or not either of the above options are available to you, consider the savings in out-of-pocket expenses and health risks for remaining overweight. Consider the quality of your life where the value is priceless. Take steps now to get control of your weight and your health. It is a decision you will never regret. What are the Weight Loss Retreat Physical Requirements? The weight loss retreat physical requirements include an exercise readiness examination. In compliance with the weight loss retreat physical requirements, an exercise readiness exam can be done by your physician or one recommended upon your arrival. In any event, you will be asked to sign a simple waiver stating that you present yourself in “exercise ready” condition and have declared any known limitations/restrictions. Exercise modifications and special consideration will be made to accommodate any reasonable restrictions for your activities. In the event that you should need an exam or medical attention during your stay, transportation will be provided to your examination appointment and any necessary followup visits. The medical expense will be your responsibility if it is deemed necessary. What is a typical live in weight loss retreat day like? Daily activities at the weight loss retreat includes any necessary modifications deemed reasonable for the individuals concerned. The weight loss retreat activities take place in and around the Live-in residence with dumbbells, free weights, benches, balls and weighted bars, PowerBlocks, Bosu Balance Trainers, TRX Suspension Training Systems, Duraball Pro Stability Balls, medicine balls, boxing and agility drills, training ropes, jump ropes, Reebok CORE balance boards; pool activities and diverse outdoor adventures. Also, included will be cycling on single speed cruisers, mountain bikes or industrial trikes as appropriate. Your Live-in Coach – Debra Stefan, will direct you through organized, well thought-out workout routines with upbeat, motivating instruction that includes a combination of agility and balance drills, games, exercises, fat-burning cardio, strength training and yoga. No one is left behind. Individual exercise modifications apply to all routines. No matter what your limitations are, you will get a good workout, lose weight fast, and make progress you wouldn’t be able to achieve on your own. So, it’s something different all day, every day, incorporating a variety of equipment and locations with weight training and cardio interval training techniques to benefit your entire body turning you into a LEAN FAT-BURNING MACHINE! Through a total body fitness workout based on scientific exercise progressions and sound physiological principles, within weeks you’ll notice a difference in your weight, strength, energy, moods, and your overall fitness level. Residential Fitness Camp- is it for You? When you enter a residential fitness camp, you will choose your level of commitment. Choose the live-in, half-day or full day residential fitness camp to match your needs. Using the success principles of behavioral modification you will succeed in setting new habits. These are the new habits you adapt to your regular home life. Often home life presents negative anchors holding you back. Detachment can happen by committing to the residential fitness camp on a 24 hour basis. It can also happen when you sleep at home and drop in to full or half-day camp. Only you can make the right decision based on your home life and resources to take part in a residential fitness camp. If you have family responsibilities and cannot commit to overnight residential fitness camp, day camp is your option. Either half or full day camp can suit your schedule and ability to commit. At the residential fitness camp you get daily workouts with your own personal trainer. This compares to a fraction of the cost for one-on-one training at a club or in the gym-with no upgrade fee. Making your residential fitness camp commitment a priority is easy when you prepay. This creates a time frame in which you put forth the efforts to achieve results. Without financial commitment, there is no urgency to act on your goals. The fitness industry standard is prepayment of services for this reason. The psychology of exercise adherence bases on commitment level. The greater the commitment, the greater the effort. At residential fitness camp you get the right nutrition and activities in a protective environment. You are free from any negative patterns holding you back. The residential fitness camp daily training routines empower you. You can meet your goals with personal bests in a progressive manner. What are the weight loss camp meals like on the program? Weight loss camp meals and nutrition coaching at the live-in residence focuses on promoting fat loss and sparing metabolic-boosting muscle in alliance with the Body-for-LIFE method. Please do not confuse this with traditional calorie counting. The methods of balancing macro nutrients are easy to learn and are effective for general needs and requirements. You will learn to recognize foods as lean proteins, complex carbohydrates and healthy fats. See a sample menu. Professional dietitians are not on staff and we do not intend to replace the recommendations of your personal physician should you have specific issues. Furthermore, this is not an eating disorder, alcohol, or drug treatment center. If you are looking for a place where your food is prepared for you by others, this program is not the one for you. The number one reason why those types of programs result in client weight gain afterward is because they do not empower you with hands-on food management. Coaching begins with a trip to the grocery store. What is the best live-in weight loss camp diet for me? The Best Live-in Weight Loss Camp Diet – will be the one that you can live with. This means that it is not a crash diet or short-term solution. You must be satisfied and well-nourished with your nutrition lifestyle. Keep in mind that there will not be a chef when you get back home to prepare meals for you. All too often, people attend weight loss camps where staff shops for the food, prepares and serves it. Even after attending nutrition and cooking workshops, the new healthy lifestyle habit does not form without making a daily routine. No amount of recipe collecting will change bad eating habits. Keep in mind that there will not be a chef when you get back home to prepare meals for you. All too often, people attend weight loss camps where staff shops for the food, prepares and serves it. Even after attending nutrition and cooking workshops, the new healthy lifestyle habit does not form without making a daily routine. No amount of recipe collecting will change bad eating habits. Your choice of unprocessed whole natural fruits and vegetables, grains, legumes and lean meats (excluding bottom feeders, ie., shellfish, and pork) are available for you to prepare under supervision. This is the best method for learning what to do at home. Food shopping, preparing, portioning and timing is a vital part of your training in learning a wellness lifestyle. You have control over personal preferences in food selection at the grocery store. Whole unprocessed foods are available for your selection, preparation and meal choices. Vegan, gluten-free, and other healthy eating strategies will be your options. Since you are forming healthy eating habits to continue at home, you will make your own meals. Protein shakes are an option for one to two meals. Fiber will give you the sense of fullness and healthy fats promote a sense of satisfaction. All three macronutrients are included. Protein, carbohydrates, and fats are the three big nutrients to sustain healthy function, energy and focus. You will not want to exclude either of these three important nutrients. Consider this your lifestyle choice and not a temporary diet. Make it a habit so you don’t need to rely on sheer willpower. The key to a wellness lifestyle is to establish new habits through routine practice of same. Most participants committing to 30-45 days or more will notice improvements within 10 day to 14 days, while some clients swear they can see changes within the first few days. You can get a realistic look at what to expect from my previous clients who have shared their before and after photos and videos here. More dramatic results and weight loss depend on your nutrition, but when you LIVE the lifestyle your results can be very dramatic. You’ll have more energy, be stronger, feel confident, and feel proud that you made the decision to make a impacting change. The sooner you start, the sooner you will benefit! Who is the trainer and what are her qualifications? What do the accommodations look like? Rooms accommodations offered are all private bedrooms with the option of a shared bath or a downstairs private suite which contains a private bath. For the private suite with private bath add $50 to the daily rate. For a group accommodation, there is a shared room that sleeps three. This will only be made available when the other rooms are full. Open the “Accommodations” link to view a slideshow and gallery showing each room and all common areas of the live-in fitness residence. What makes my residential retreat unique is that since 2008 this is the first and only reputable private weight loss camp where guest privacy is protected. 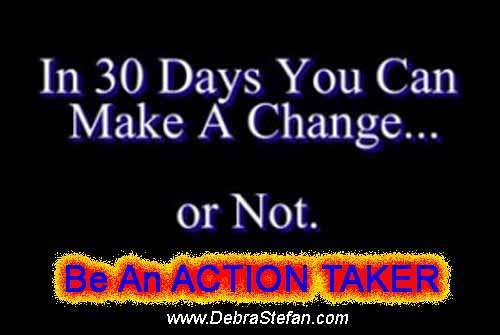 Imagine yourself committing to leave your home, family, and friends to go away to lose weight and get fit. There you are in your sweaty workout attire, feeling tired, lonely, and hungry. In walks a group of visitors who thought it would be neat to “tour the facility.” Suddenly, you feel violated. Your privacy has been violated just when you got the courage to take a big step toward your goals. Please understand before you ask, “Can I tour the facility?” This is an actual home and not a “facility” such as a commercial business that is open for public tours. Debra Stefan Fitness is licensed as a non-commercial business and is not subject to public disclosure of location and is not listed on Google Places for this reason. Furthermore, security guard access is required to enter the private community. Rest assured that your experience will be protected should you come in-house. Privacy and discretion are valued at the live-in residence. Celebrities, individuals of high profile status and anyone else seeking a safe haven where they can go under the radar come here to focus on personal goals. Therefore, non-client visits are not allowed. However, every room and common area of the fitness residence can be viewed here on the site including an accommodations video. Here you can virtually, “tour the facility”. Also, a fair amount of guest experiences are shared right here on this site and blog. Browse for testimonials and find someone to whom you can relate. Our heaviest has been over 500 Lbs, and the oldest has been 79 years old! Will I have to have my before and after photos posted on the internet? Not all guests of Debra Stefan Fitness appear on the website or in the videos. Those that do can appreciate that they were encouraged by seeing someone else’s testimony who succeeded by going through program. Sharing testimonials, before and after photos and videos is completely voluntary and authentic; no one has ever been paid to do so. What is the daily fitness retreat schedule? The above schedule will entail a variety of indoor and outdoor activities that fall within the prescribed parameters. Activities and times may change seasonally. What do I need to bring to the residential fat camp? What to bring to Residential Fat Camp depends on the season of your stay. Layers of exercise attire will be needed. You can click the download button below for the Residential Fat Camp Packing List for your stay at the fitness retreat. While I prefer to call it your fitness retreat, Google requires me to avoid redundancy in terminology. Therefore, this time we will refer to your residential fat camp packing list! As you can imagine, I enjoy being in the good graces of Google. Without it, you and I may never meet. Anyway, let’s get the terminology out of the way and start planning what you need to bring. Just remember that we will have frequent rest breaks. During a break, any of your personal shopping needs are be handled with a quick trip to a nearby store. After all, we are 3 miles from the nearest Walgreen or Super Walmart and only two miles from the nearest CVS drugstore for prescriptions and personal toiletries. The live-in fitness residence is located on a scenic golf course, but not too remote for necessary conveniences. What to order ahead of time will include the larger size padded bike shorts, and swimwear. 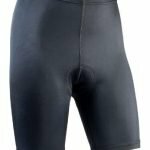 Get your padded bike shorts before those delicate areas become raw and tender. One ride without padded compression shorts and your every move will compound the inflamed skin area. Added to the additional problem of inner thigh friction from being overweight. Without compression fabric for anti-friction or padding for easing the pressure, cycling would be intolerable for bigger people. So, what I am saying is very important advice. Although there are numerous DXL Destination XL retail stores nearby, they do not carry padded bike shorts. They do carry base layer compression garments, though. These base layers cut down on friction and help prevent skin chaffing from the frequent activity. The shaper undershirts are said to support the belly area and minimize the chest to enhance your best shape while you lose weight. These shaper shirts come in sleeveless tanks and the short-sleeve tee shirt. Not as essential as the padded bike shorts, but the right base layers are highly recommended. Can I come at any time or are there set start dates? You can plan arrival to start your program at the first available opening that suits your needs. Availability can change daily and cannot be guaranteed unless you secure your booking deposit. Remember that this is a residential fitness program serving a semi-private clientele so space is limited. 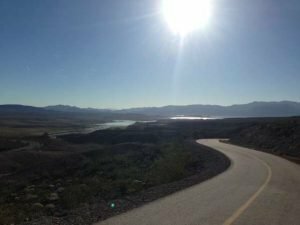 Sunny Nevada Weather -What You Need to Know About the Heat! Sunny Nevada weather is the number one reason for the preferred destination. If you suffer from joint inflammation, this is the ideal exercise environment for you. Early morning sunlight and outdoor exercise help boost serotonin and metabolism. Scholarly research proves this to be true. Outdoor activity promotes a noticeable mood boost aids those who have depression. In the summer, temperatures can reach into the 100’s. Again, this is with low humidity making it easy to tolerate warmer temperatures. Furthermore, the long summer days make it optimal for early outdoor activity at cooler times. Indoor workouts and indoor pool are air-conditioned during the heat of the day. Milder evenings and long days enable more outdoor activity in cooler temperatures. In the winter, temperatures rarely drop below freezing and that only happens at night. There are about eight nights annually with freezing temperatures. Sunny Nevada weather offers the ability to be outdoors year round with few days that won’t allow for outdoor exercise. You can see the monthly averages for both temperature and precipitation here. Sunny Nevada weather makes Las Vegas among the nation’s top five tourism destinations all year long because of the beautiful weather and sunshine. In warmer summer months all scheduling precautions are in place to minimize heat exposure. Take full advantage of the abundance of sunshine and fresh desert air while you pursue your health goals. Never fear: the colder temperatures are after nightfall in the winter with comfortable daytime temperatures. In the summer months of longer daylight, we enjoy the early mornings and later evenings outdoors. Seasonally, outdoor activities take place during the most favorable conditions of the day. For example, in the wintertime, our activities outdoors are during the warmer times of the day. For locals, consider outdoor fitness day camp year round. 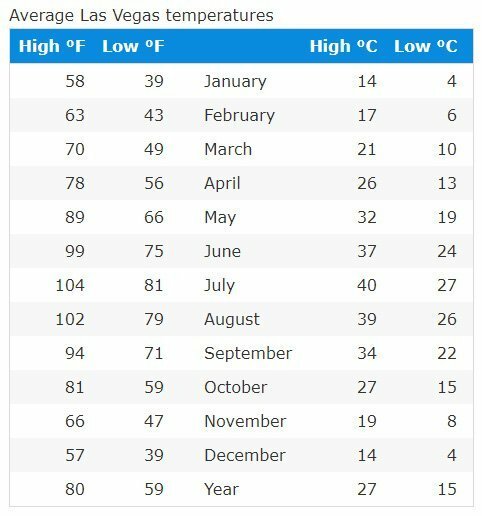 Remember that sunny Nevada weather puts Las Vegas in the top five sunniest places in the United States year-round with about 300 sunny days annually. What is your cancellation and change fee policy? Cancellations will result in forfeit of the entire deposit. Make sure that you are truly ready to attend the dates chosen because space is limited. It is not like other places where condos and beach cottages can be reserved in a large block. This is a residential home with limited guest space. When you book your stay, that room is made unavailable to others and must be accounted for. You will be able to reschedule your reservation more than 15 days prior to your scheduled arrival provided that the new dates coincide with an open availability. You will be given every consideration in meeting your requested calendar needs. Any changes to a reservation must be made at least 15 days prior to the scheduled arrival date. Short notice changes can result in additional fees up to 25% of total rate. There are no credits or refunds for late arrivals or early departures. This is standard in the industry. Fitness and weight loss professionals are in the business of enabling you to adhere to your own self-promises and commitments – not depart from them. As a small, private business, Debra Stefan Fitness is greatly impacted by each client commitment and likewise, cancellation. That is why Travel Insurance is a wise way to protect your commitment no matter what comes up after you have booked your stay. What are my options if I should need to depart early? Travel insurance for weight loss camp! There may be unforeseen events that prompt you to depart early. In order to protect your investment in making a commitment to attend the live-in program, travel insurance is highly recommended. For your review, here is the link to my preferred travel insurance company. If you purchase from this Travel Guard link, I may profit from it. However, I do not recommend this for any reason other than your peace of mind. Your success while in my program is my success. It is our common goal to be assured that you have reduced your personal risk as much as possible. Taking a risk out of the equation makes it easier to make a commitment with travel insurance for weight loss camp. * Trip must be overnight and Destination must be at least 100 miles from the Insured’s Primary Residence. What can I do to get started before I arrive at the fitness residence? Now that you have taken the first step and read through the weight loss camp F.A.Q.s, the next step to get started is decide to be an ACTION TAKER. If you are ready, then call to set up a phone consultation so you and I can decide if this program is a good fit for you. Next, begin by setting aside 10 minutes to take a simple online test! 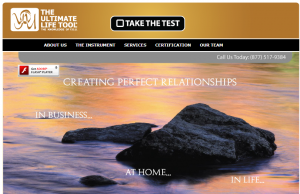 This evolutionary Human Assessment Instrument enables professionals and individuals to identify personal potential, human tolerance, perceptivity, motivations and behavioral strengths & weaknesses.This will provide you with important information about yourself to focus on your strengths and the best motivational drivers for your personal success. Once you have scheduled your stay with a deposit commitment, you will then be provided a telephone session with Dr. Zannah Hackett, Human Behavioral Specialist. She will interpret your evaluation based on the questionnaire or “test” results. Now that you have decided to become an ACTION TAKER, before you pick up the phone to call … just click here to Take The Test! DISCLAIMER: Please keep in mind that the results of others cannot possible indicate or guarantee your personal results. This program requires a dedicated effort toward lifestyle change and is not a crash diet for weight loss alone. This is a health and wellness lifestyle. Results will vary per individual. What are your “Terms of Service” ?